I love flamingos! 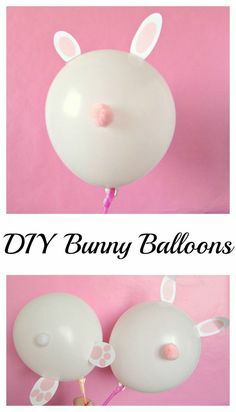 They are so fun for summer. 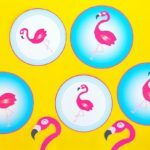 Since the invention of flamingo pool floats and flamingo drink floats they have become a summer staple. I could not be happier about that. 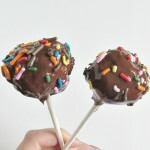 They are just so pretty for celebrations! 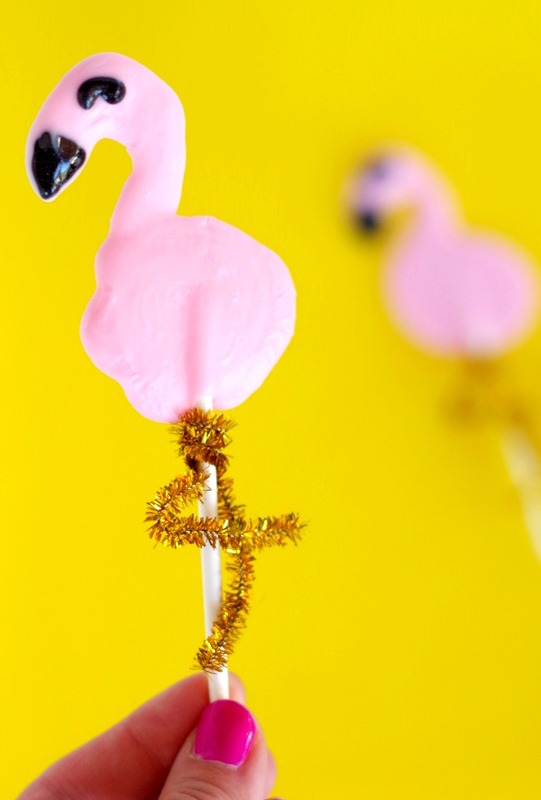 I love all things pink so bring on the pink flamingos! 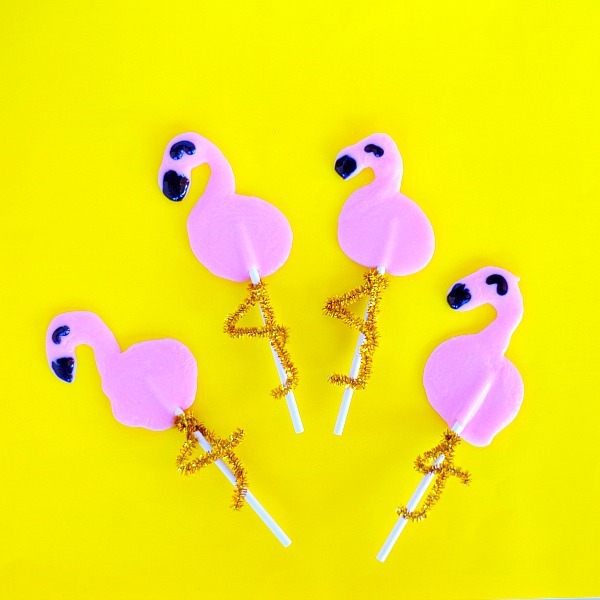 I made these adorable flamingo chocolate pops that were really easy to make. All you need are candy melts and some gold or pink pipe cleaners for the legs. 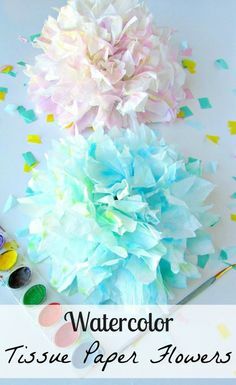 I am working on my video skills so I did a video for how to make these but I can also walk you through the steps. 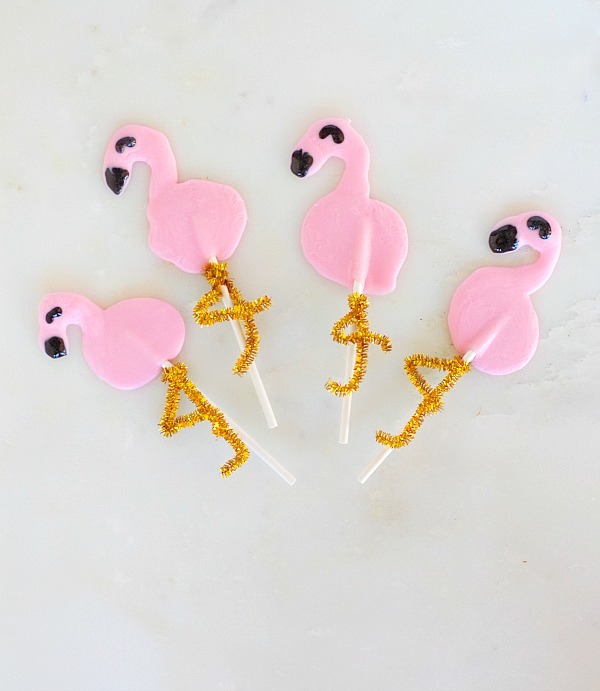 What you need to make these chocolate flamingo pops and flamingle! lay the lollipop sticks on parchment paper lined up but spaced out slightly. 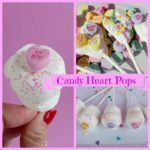 Put the candy melts in a candy making bottle. 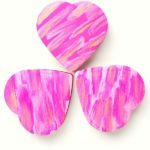 Spread candy melts in a circle shape over the top of the lollipop sticks. Above the circle starting from the middle make a loop going upward from the center towards the left side. Refrigerate them for half an hour to let them dry. Draw on the face with the black gel. The eye with a half circle facing downward and the beak with a half oval shape at the end of the loop. For the legs take a pipe cleaner and cut it in half. 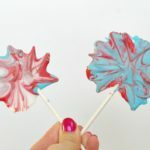 Wrap the middle around the lollipop stick. Bend one side in half in a V shape facing backwards. Then bend a very small piece down on the end. Leave the other one straight down but bend a small piece at the bottom forward. 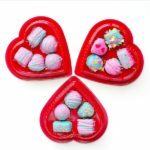 Aren’t they just the cutest little treats?! 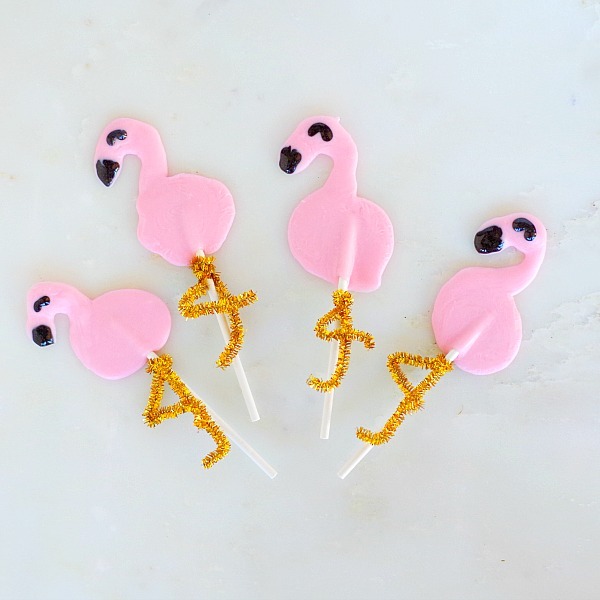 I am in love with these easy flamingo chocolate pops!